I did go on a little outing over the weekend, which gave me the perfect opportunity to wear some new accessories I was sent from INPINK. Let's take a look! 'Business partners Derik and Connie are no strangers to what makes women feel fabulous! After founding premier Bay Area boutique nail salon, Pinkies, the pair started to offer quality fashion jewelry collections in all six Pinkies locations. Pinkies customers started raving to their friends about their cute new purchases. Many of those friends and relatives lived outside the Bay Area, and they wanted that adorable $25 necklace their sister bought for themselves! You know all know, one of my (many) loves is nail polish, but one of the other happens to be jewelery- specifically earrings- so I was super excited about INPINK when I received an email from them. 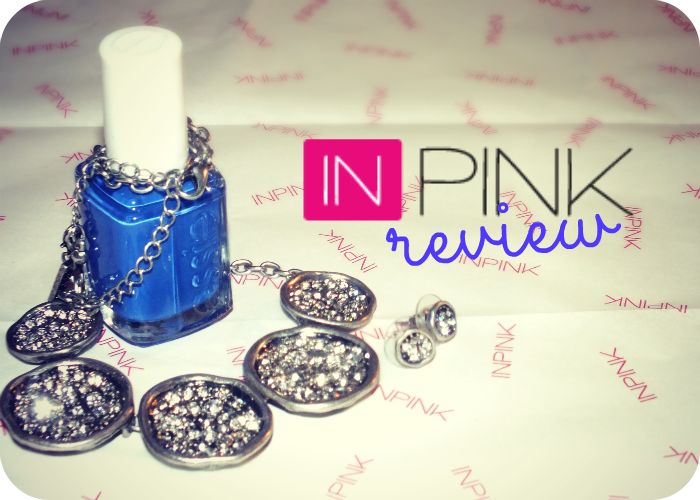 I consider nail polish to be just as important as any other accessory, so the fact that INPINK styles polishes with their accessories was a perfect match for me. INPINK has a huge HUGE! selection of styles available from simple, elegant pieces all the way to bold, colourful statement pieces- literally something for everyone and nail polish offerings from Essie and OPI. Jewelry and two of everyone's top nail polish brands- and at only $8 and $9? What's not to love? I combed through the IPINK website, oohing and ahhing over many pieces, but ended up choosing the Matte Silver Concave Rhinestone Disks Necklace and Earring Set. I love the imperfect nature of the concave disks and how the stones pop off of the blacked finish. It's the perfect combination of simple and flashy, and can be worn dressed up or down with ease. The set includes the cutest little stud earrings, which I was attracted to because I am a stud lover (teehee!) and they are matchy without distracting from the necklace. I had wanted to get a photo of me wearing this, but my memory card was missing in action when I got ready, and by the time I got home, I was looking a little less than polished! The necklace is a nice weight- weighty enough to stay in place and not bounce around, but light enough to be completely comfortable as well. Overall, I totally love these pieces, and will be wearing them quite frequently! When it came time to choose a nail polish shade to style with my jewelry selection, I had a myriad of choices from Essie and OPI. I really did have a tough time deciding between a few of the OPI Euro Central and Mirah Carey Collection shades, but Essie Butler Please was calling my name. 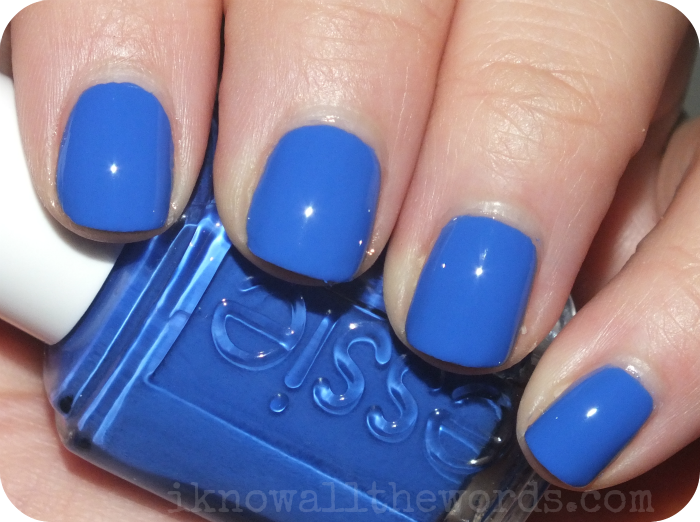 Essie Butler Please is a vivid bright blue, but it has some depth at the same time. In person, it is not as bright as my photo shows, but no matter how I adjusted lighting/flash my camera just couldn't capture the right shade. This is one gorgeous blue! I couldn't stop admiring my hands, it's just so gorgeous! That said, it's not entirely unique, so blue fans may have something close to it, like Nails Inc. Baker St. or Sally Hansen Pacific Blue. I don't have either, so no comparison here. Overall, I love the idea of INPINK! Jewelery and nail polish all from one site, with useful styling tips too. 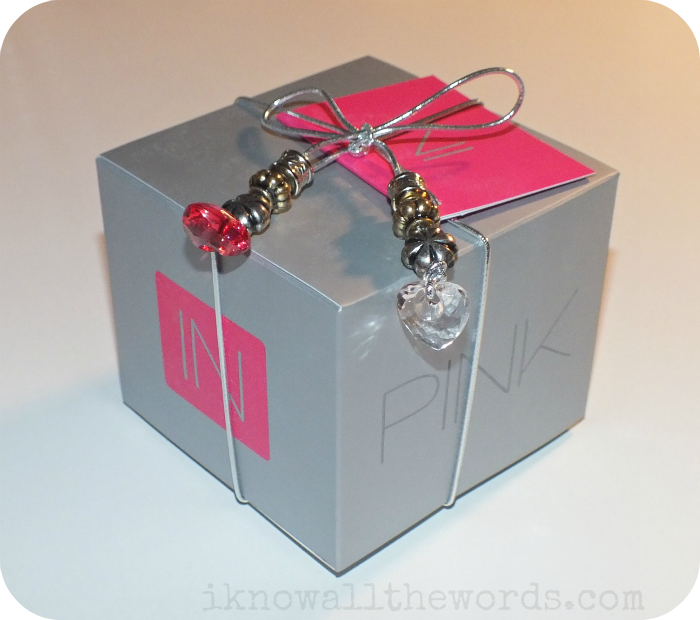 I should note their packaging as well; My items came securely packaged in a basic box, but within that box, was a very cute silver and pink INPINK box tied with a beaded silver cord. When I opened the box, I was greeted to the custom INPINK tissue paper -even the inside of the box is decorated with their logo!- and my items neatly wrapped. All the little touches made the package extra special. An item (or two!) from INPINK would make a really thoughtful gift or even a nice pick me up for yourself! Currently IPINK is running a Jewel-a-Day Giveaway. When you sign up for their newsletter you are entered to win a daily jewelery prize. Have you heard of INPINK? What do you think of it?